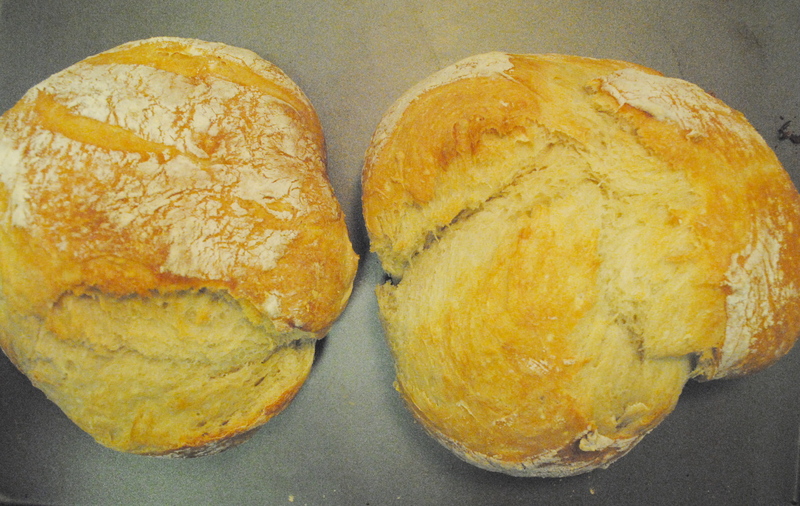 Declaration: Artisan Bread is, hands down, the most delicious bit of carbohydrates you could ever allow to pass lip. And while I was afraid to tackle Artisan Breads because they looked far too beautiful to ever be created by myself, I’m so pleased to say that not only did I tackle the entire endeavor this week, I came out absolutely triumphant and totally converted. I will make Artisan breads, constantly. While there are a few more steps to creating these crusty on the outside, moist on the inside boules, in other ways, its much easier than other forms of bread baking. This basic Artisan Bread I created last night did not require a single bit of kneading or rolling out on a flowered surface. Hurrah! 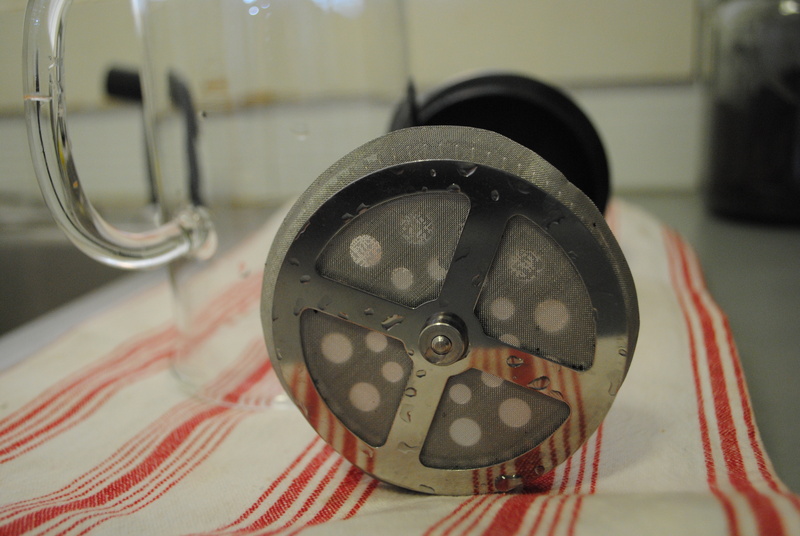 And the ingredients are simple and always on hand: flour, yeast, hot water, and kosher salt. That’s it! Rising times don’t have to be exact and the only difficult bits include the fact the doughs are super sticky and you have to have a plastic container with a lid to allow the bread to mellow out in. Check and Check. Following directions in the book Artisan Breads in Five Minutes a Day by Jeff Hertzberg and Zoe Francois (which also has an excellent blog I follow),I did place my dough in a seal-tight covered plastic jug in the refrigerator overnight; this allowed for me to handle the dough easier when I molded the boules–with it being so wet and sticky, the colder the dough, the easier to work with. All you do is cover your hands in flour, seperate the dough into grapefruit size heaps, and mold them in a rotating motion into round balls. Then place them on a cornmealed peel to rest while the oven preheats for 20 minutes at 450 degrees. Inside the oven, a stone is heating along with the oven, as well as a dutch oven type pot or dish on the bottom rack. After 20 minutes, you slide the boules into the oven quickly and add 1 cup of hot water to the dutch oven or broiler below and slam closed the oven door. This creates a “steam bath” for the bread to cook in, approximately 30 some odd minutes (don’t check on it and let the steam escape!) 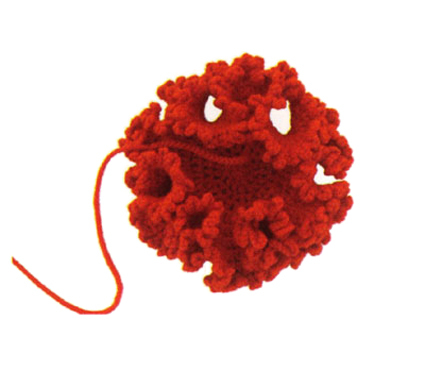 and creates that deliciously crusty outside. And because the bread is sooo sticky and wet when it goes into the oven, its pretty much a sure bet it will come out super moist on the inside. And let me tell you. 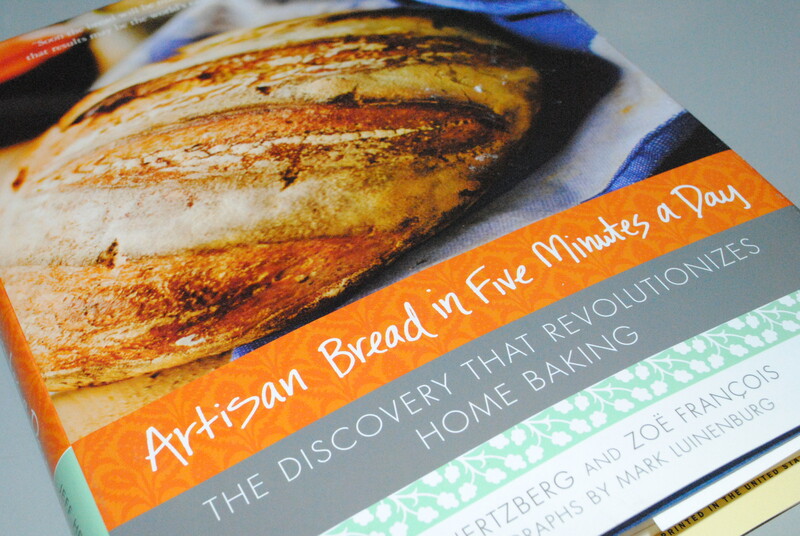 It is the most phenomenal–and beautiful!–looking and tasting bread. The kosher salt is robust, so the bread tastes salty enough, which is just how I like it. The outside crust is chewy and delicious, while the inside is light and fluffy and moist. All in all, the greatest bread I’ve ever made. Hit me with a mack truck! There’s a really interesting read in the March 29 edition of the Wall Street Journal on truckers who spend weeks on end with the open roads–and a pair of knitting needles to boot. 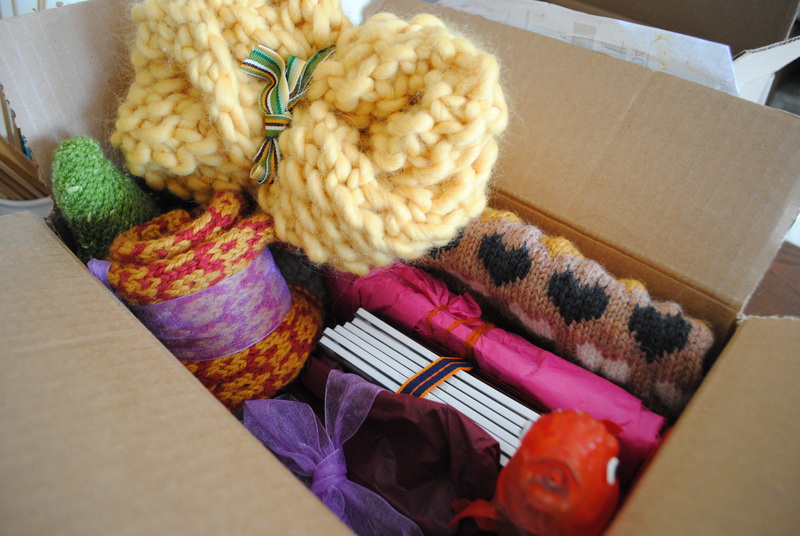 Apparently, as drivers experienced carting smaller hauls in the recession, they sought out something to do with their hands and free time–and took up sewing, knitting, and other fabric craft. 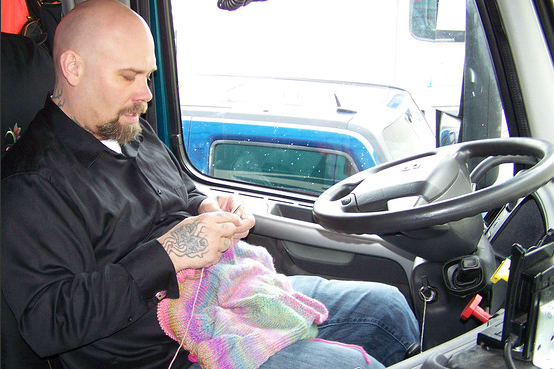 While many of the truckers–the profession boasts 90% of its workers male–found it to be a “girly craft” they wouldn’t be caught dead doing, others have embraced sweater making, scarf knitting, and even quilting. With all this constant rain in Boston, it’s pretty simple to wish for mere days ago, when I was sopping up sunny skies, sand, mojitos, and copious amounts of delicious crab. Here are a few of the delicious snaps of the consuming that went on. From top left to right: Lump Stone Crab with mustard dipping sauce and spring greens, Sea-salted edamame; bottom left to right: A freshly squeezed lime for my drink, the best Mojito I’ve ever had in my life. Canoodling with the camera and crab…delish! It’s been pretty dormant at Kraftworkin’ the past week, as I was soaking up some serious sun for the second half of my spring break from work in the sunny state of Florida–with no internet, which was absolutely and insanely freeing. 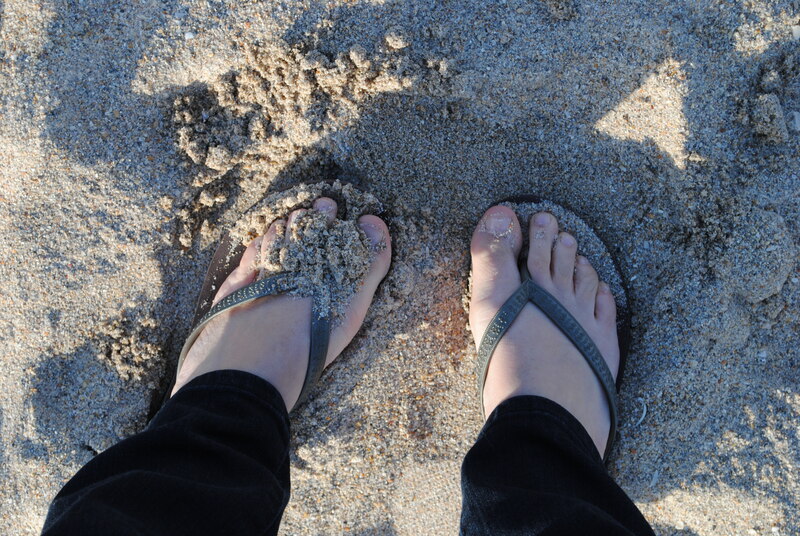 This trip mainly involved floating on ocean waves, gorging on crab, playing seriously with my Nikon D3000 while romping through the Everglades, and general reading and knitting on the beach relaxation. While just arriving back in Boston this eve and needing a serious dose of laundry and settling, I plan to go through all those photos this week and see if anything good came out of it. I’ll pretty much take it any way, but in the afternoon, one of the best things is to kettle a pot of water and hit up the French press. Often times, I don’t usually take to it in the mornings because, as most of you know by now, I take my coffee black, and a French Press can be hard on an empty stomach. So afternoons it is. 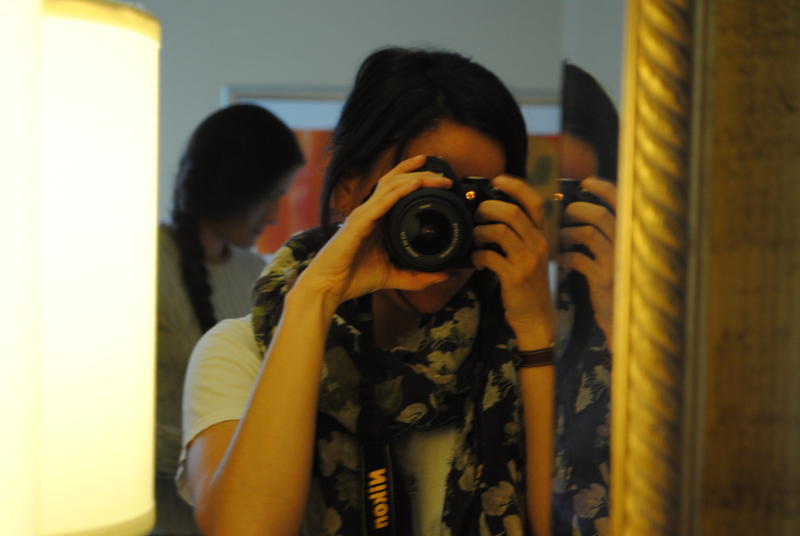 And in honor of the reader, I’ve taken some snaps of what that all looks like. Will you enjoy a Saturday cuppa from a French Press? Do, its well worth it. 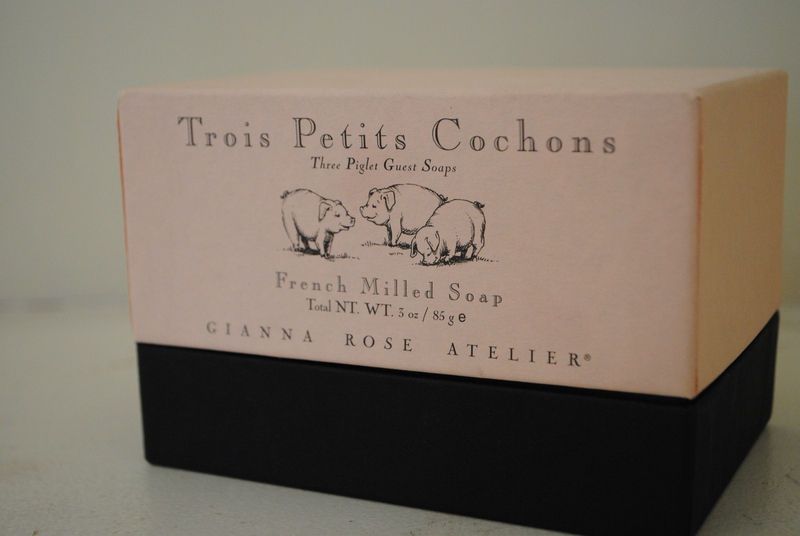 There’s nothing better than being gifted a fatty soap; enter the Trois Petits Cochons French Milled Soap, which my grandmum gifted me awhile back. The Gianna Rose scent is absolutely to die for and I’d like nothing more than to bask in its linen glory. 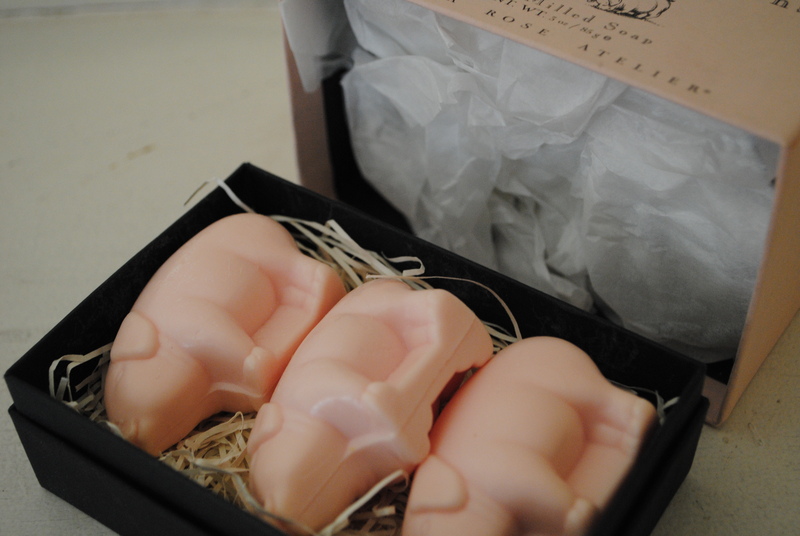 Alas, I cannot use these glorious little piglets because they are too adorable and gorgeous to ever touch. Rather, they sit in their box, on display, in a bathroom shelf and occasionally I open it up to look at them and take in their delicious scent. Honestly, this little soap box is the best gift you could give someone. If they like piglets, of course. Awhiles back, I made my Mum one of these Martha Stewart Knitted Neck Scarfs for warmer weather, particularly the weather we’re having right now. I did a very small post on it and snapped an awful photo of it with my Mac’s built in camera and tossed it off to her to get wearing. That was the extent of it, really. But while visiting her house this week, I stumbled upon the scarflet and decided it was high time I take some proper snaps of it. 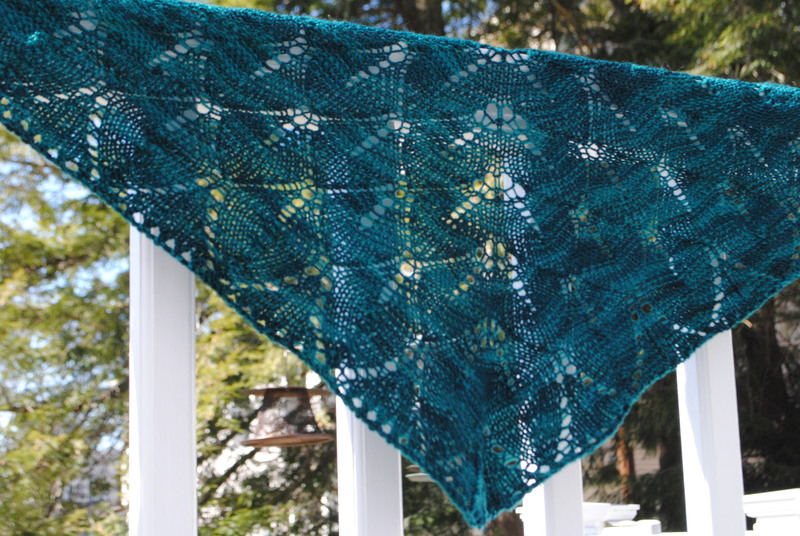 I’d made one for the beloved corgi, Sir Winston Churchill, in a tweed colorway, but it was at my apartment. So snap away I did with my Mum’s, Winnie by my side, the most “enthused” of models. He was particularly entertained during the portion in which he proceeded to bite his lip and yawn continually. 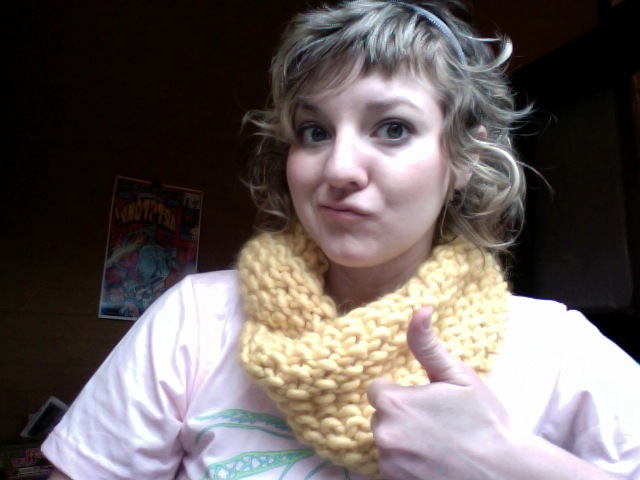 However, this scarflet looks adorable on dogs! I hate when dogs wear clothes, but this one…that’s another story.